Visitors nowadays tend to care more about speed of the website. Loading time is a major contributing factor to page abandonment. The average user has no patience for a page that takes too long to load. We might losing thousands of viewers per day that might affect our blogging income and invitation to attend event. Amazon had lose $1.6 billion every year if they slowed down by a second. Nearly half of internet users expect our site to load in less than 2 seconds. 40% will leave completely if it takes longer than three seconds to appear. How do you test and measure your site's load time ? 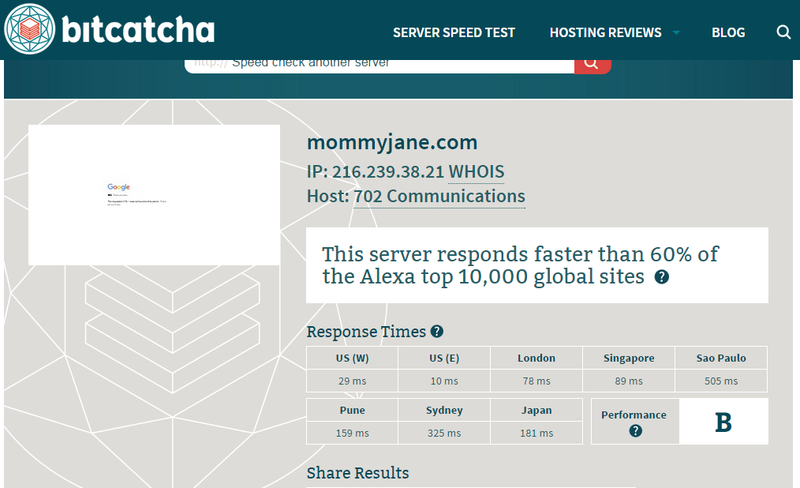 Mommy Jane had recently come across server speed tracker by Bitcatcha.com and had tried to used it since it is free to use. 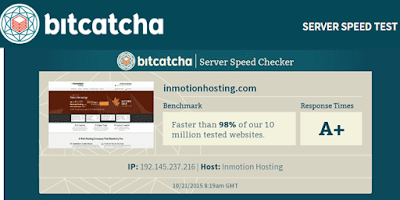 Just go to www.bitcatcha.com/ and enter your url website at the Server Speed Checker and press search button. Mommy Jane had put in mommyjane.com at the checker and within seconds, the results were out and my website got a "B" for the performance. Means it respond faster than 60% of the Alexa top 10,000 global sites. 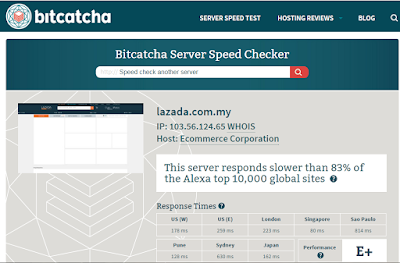 Consider not bad as compare with Lazada website who had a "E" for their performance. 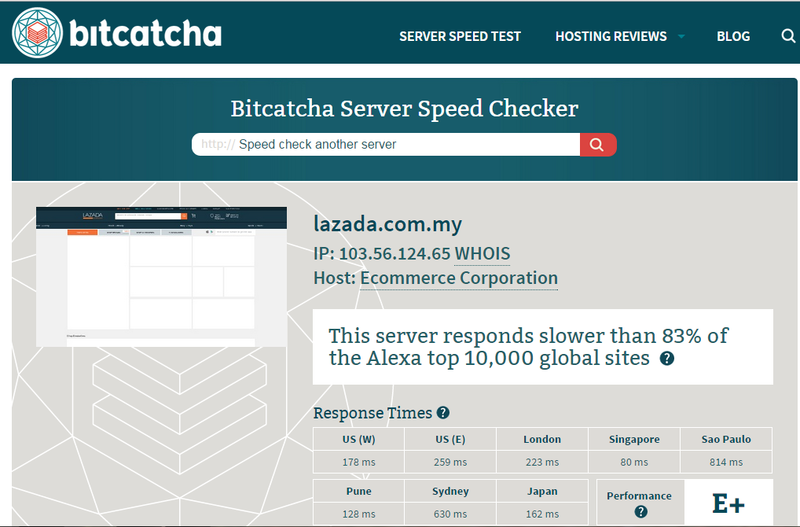 Lazada server responds slower than 83% of the Alexa top 10,000 global sites which is a bit worrying coz' they will tend to lose their sales and profit if their loading times are too slow. 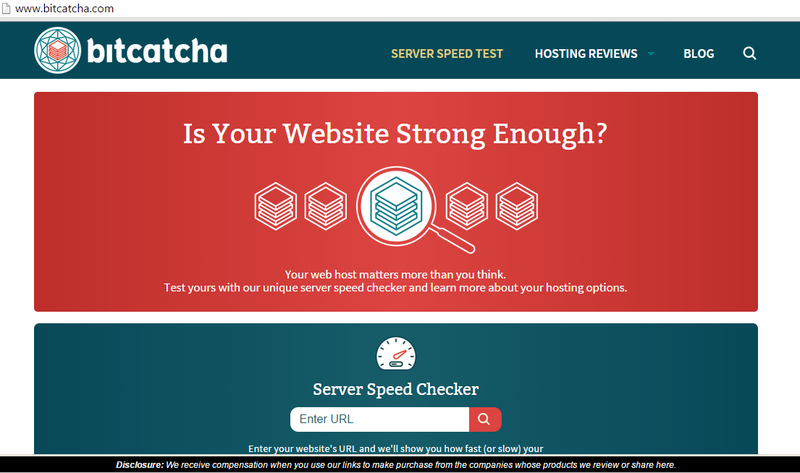 The test shows the response time of our web hosting. There is different from the load time of our webpage depends on several factors which include its code, caching, content delivery system and more. The ideal rating is B and above and minimum is C. If after repeat few test at various times, still got C and below, that means the website loads were very slow. If your web host and server speed is slow, then your whole website is slow. There are 2 main factors that might affect our overall website load speed i.e. 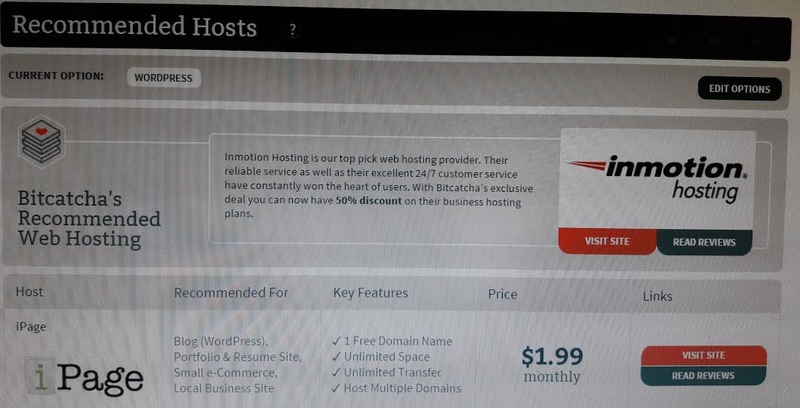 Bitcatcha will help you to find the right host. Just click blogger if you plan to start blogging, then a list of host will send to you for your consideration together with the recommendation, key features and the price for the monthly subscription. 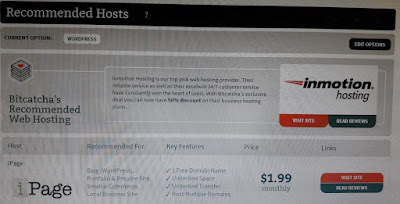 For blogger, look for a hosting plan that caters specifically to WordPress sites such as WP Engine or iPage. Both plans optimized WordPress and include a one-click installation of the latest version of WordPress, pre-installed plugins/templates and automatic updates. For ecommerce website, Magento is a very popular online store and shopping cart software. Magento is an open source CMS, so the base software is free with add-ons and plug-ins available for a price. Hosting plans that are optimized for Magento are offered by Nexcess and Web Hosting Buzz. Search the right host for your needs at the link HERE. 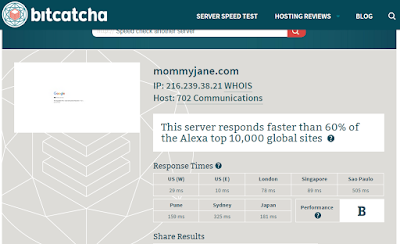 Mommy Jane found that Bitcatcha.com was a useful tool to check the speed of our website. It will also help us in our decision making if we plan to build a new website or switch to a better hosting plan for a faster speed. With so many host for us to choose from and with all the information provided, we'll able to find the most suitable host. With the minimise loading times, I'm sure there will be an increase to the viewership per day and made our website more attractive to visit. Read about this before. Good to know the speed of website and to minimise loading time. Linda, do check yours too and ensure it is not below the minimum performance. Oooo? Is this a platform for a website server? Shirley, it is not a platform for website server. It's an online tool to test website performance. I used to be quite obsessed with the speed of my website. However, over the years, as long as it isn't a problem for longer than a hour, I am OK with it. Emily, speed is important so that our viewers will come back again instead of wasting some times to download it instead. loading time is definitely an important factor for ouur websites... i've kept my blog very minimal but just gonna doube cek on this site.. thanks! Buxom, great. Hope your website is performing good now. Looks quite easy to use & very useful to know how well the website is doing! Cheryn, very easy only. Just enter your website url and they will let you know within seconds on your website performance. I hate slow loading site. This is a great place to check. Cindyrina, hope your website perform well too. This is cool website to check how fast the website load. This is new to me and thank you for sharing this. This is so cool! Need to try this out for my website too! Sharon, hope your website perform above the average now. Leona, we need to so that readers won't waste their times loading it instead. love their name, so catchy. will definitely make good use of this website. Qian, do check out on your website too ya. Sebrinah, good luck and have a safe delivery.